Known as “American’s Dairyland” and especially renowned for its cheese—and cheeseheads (fans of the Green Bay Packers)—Wisconsin sits between the Great Lakes and the Mississippi River and has a wide variety of geographical features. If you want to live among the best cheeses and craziest football fans in the nation, consider opening your franchise in Wisconsin! Madison: The state capital, Madison is surrounded by four lakes and is home to the University of Wisconsin, Madison. It’s frequently been rated one of the top places to live in America. 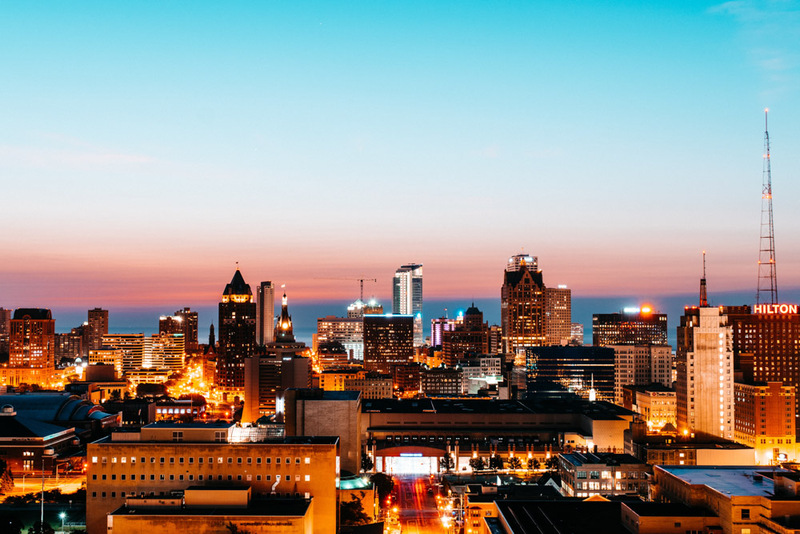 Milwaukee: The largest city in the state, it sits on Lake Michigan and is a cultural and economic hub of the state. It’s known for its breweries and many companies have headquarters here. Green Bay: Home to the Green Bay Packers, this is an industrial city with several meatpacking and paper plants. Manufacturing is the largest driver of the Wisconsin economy, accounting for 20 percent of the GDP and boasting a diversity of products made in state. Wisconsin is also a major producer of dairy products, including cheese, milk and butter. Other crops include corn, cranberries, oats, carrots, potatoes and cherries. Tourism is the third major industry, with many people traveling to explore the numerous waterways, as well as annual festivals. Wisconsin has a corporate income tax of 7.9 percent, as well as an economic development surcharge for businesses that have gross receipts over $4 million. There is a state personal income tax that ranges from 4 to 7.65 percent. There are 440,000 small businesses in Wisconsin, which account for 97.8 percent of employers in the state. Of those, 15,350 are franchises, which employ 177,100 people. Wisconsin has a GDP of $281.7 billion, which is slightly more than that of Singapore.